We’d love your help. Let us know what’s wrong with this preview of Preaching the Cross by Mark Dever. Preaching the Cross does just this. It is a call to expository, gospel-centered preaching as the center of pastoral ministry. This v Proclaiming the gospel is without a doubt the most important task of pastoral ministry, yet often other, seemingly more urgent activities obscure it. From time to time all pastors and preachers need to be reminded of the primacy of the gospel. To ask other readers questions about Preaching the Cross, please sign up. The contributions of Piper, Mahaney and MacArthur were worth the price of the book. 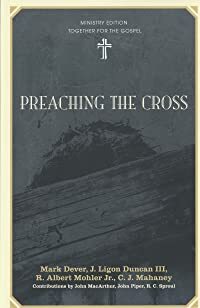 Preaching the Cross was an excellent read from cover to cover. Pastor John’s chapter was by far my favorite. I would recommend this book to any pastor serving the local church. One of the dangers inherent in any book that has a narrow focus (which is generally an excellent principle in book-writing) is that the strength of emphasis on your thesis opens the door for the reader to become unbalanced in their perspective. 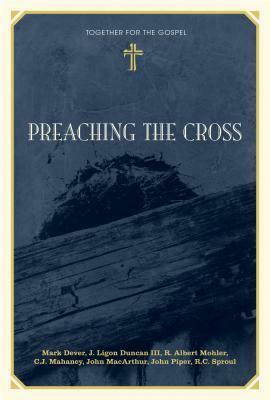 In the case of Preaching the Cross, each of the contributors hammers at a unique angle of a singular premise: the most important element of being a pastor and the only reason the Church exists is to preach the Word, and more specifically the Cross. While I One of the dangers inherent in any book that has a narrow focus (which is generally an excellent principle in book-writing) is that the strength of emphasis on your thesis opens the door for the reader to become unbalanced in their perspective. While I think the majority of ministers and aspiring ministers today need to be bludgeoned with the strength of this message, there is also a danger in swinging so far on the pendulum that Scripture replaces God as the central purpose of the minister and the local church. The Cross is central because it brings us back into relationship with God. We glorify Him and fulfill our purpose as image bearers by being in His presence, by being with Him. A church that exists only to preach and teach the Word is like a wife who sits in her sitting room pouring endlessly over love letters from her army husband, filled with longing for him, as he sits in the next room. Scripture exists as a vehicle to know God, and while it is holy, and authoritative, and living, and powerful, and transformative, it can never become an end in itself. The Pharisees had the Torah memorized but it never ushered them into God's presence. This book is edited and chapters are authored by the four men who gave birth to "Together for the Gospel" fellowship. I found all the authors to be conservative in their biblical stance and very good in their individual discussions. This would be an excellent book for any who might wonder why biblical preaching matters and why the cross of Christ must be proclaimed. This great collection of essays by various preachers serves to remind the minister of the impotance of the task of preaching, but also the centrality of the cross in the message of the pulpit. An all-star line-up of Christian leaders/authors today write a chapter each on how to keep Christ-centric in the pulpit, life, and followers. A great read to inspire Pastors in preaching and living the gospel with power. Valuable not only in its emphasis on the centrality of the cross in preaching, but in its model of such preaching! This collection of sermons is a needful reminder in days of therapeutic moralism found in far too many evangelical pulpits that the Gospel demands expounding still. This is an excellent resource for all those who are called to pastoral ministry, put together by some of the most faithful Biblical preachers of our day. This book is simply a call for pastors to preach the Word above all else; something that is desperately needed in our time. This book is the transcipt of sermons given at the T4G conference. But there is no need to purchase the book when you can download the sermons and listen to them for free on-line. I listened to the sermons and they gave me the Book at the last T4G. Piper's is the best of 2006 and RC was the best in 2008. Great material but the book is basically sermons turned into a book. Your time would be better spent listening to the messages online. A strong and clear call for Christ centred expository preaching, great read! An inspirational little book that cuts to the heart of the purpose of Preaching.